The ﬁrst known written source related to the Crimean Tatars is the Codex Cumanicus, a Turkish-Tatar linguistic manual, which appeared in the Crimea in the 12th century. 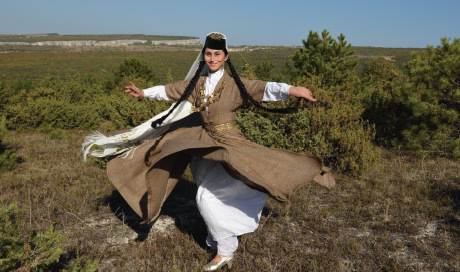 The distinctive Crimean Tatar culture and national identity developed during the Crimean Khanate period. 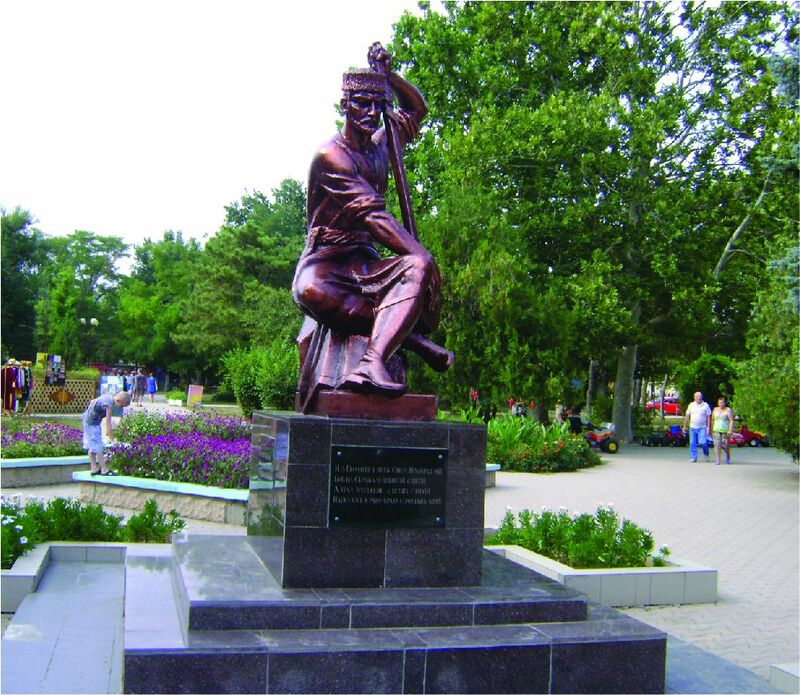 The capital of Bağçasaray (Bakhchysaray), and other cities – Qırq-Yer (Çufut Qale), Solhat (Staryi Krim), Qarasuvbazar (Belogorsk), Kezlev (Yevpatoriya) – were important cultural, political and economic centres. The Crimean Khans’ palace in Bakhchysaray – the residence of Crimea’s rulers and main political and cultural centre of the Crimean Tatars. 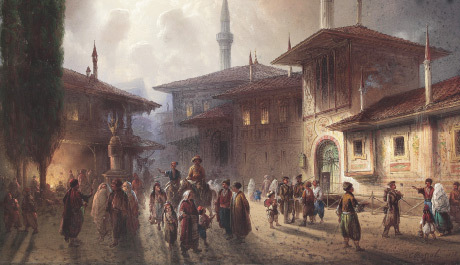 Painting by Carlo Bossoli (1857). Monument to the Crimean Tatar poet Aşıq Ümer (1621 – 1707) in Kezlev (Yevpatoriya). Photo: Gulnara Abdulaeva. 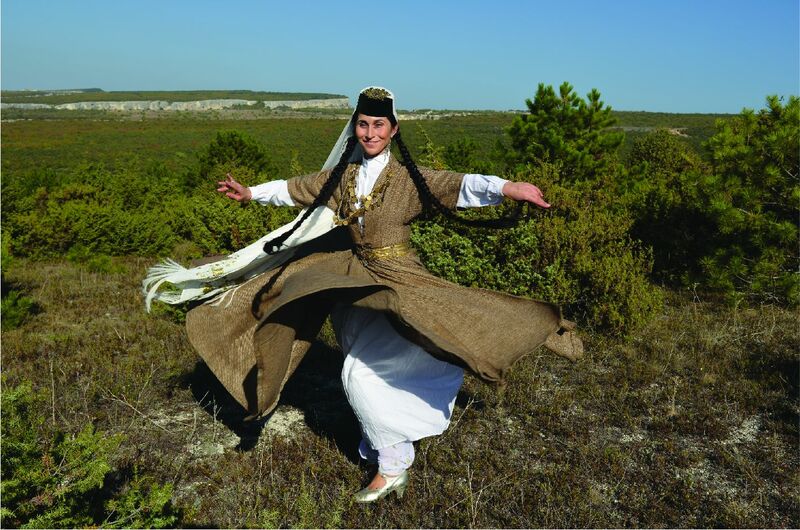 From the 14th to late 18th century, the Crimean Tatar language, literature, architecture, and handicraft traditions (especially artistic metalworking, rug weaving, and ornamental metal art), as well as, the national way of life developed in these centres. 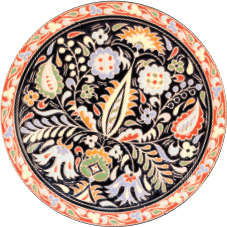 Traditional Crimean Tatar handicraft by Rustem Skibin.